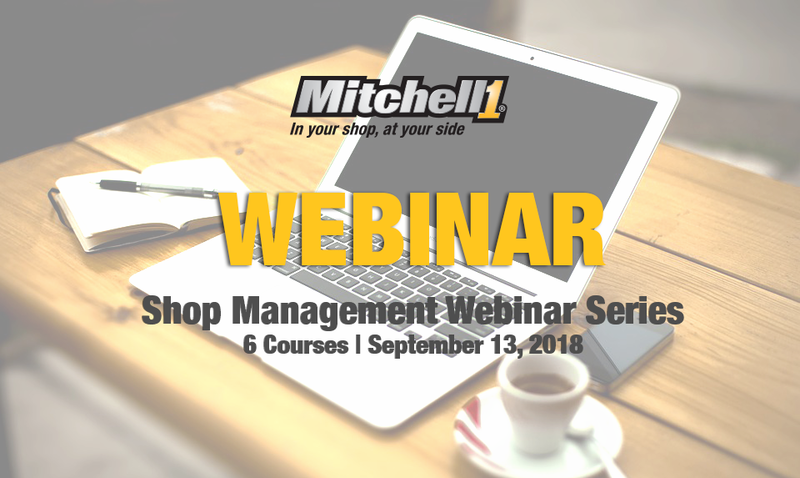 Mitchell 1 announces the schedule for its Manager™ SE Shop Management Training Webinar Series, a new format for its popular Manager SE shop management software workshop that will make the training more accessible and convenient, and allow more users to attend and benefit from the training. Mitchell 1 will offer six courses covering the most popular topics from the two-day workshop curriculum and is offered free of charge. The courses are led by McDonnell and will include time for live Q & A. The webinar series is in response to many requests to make the Manager SE training workshop material available to a broader audience than can be accommodated in a traditional classroom setting. Ensure Manager SE is working just the way you want it to with this overview of how to set up and properly configure the system defaults and options to enhance shop productivity and efficiency. Learn how to leverage Recommendations for up-selling and marketing customers on needed vehicle repairs, and reminders to track outstanding work from previous customer visits. Speed up the way you write estimates and repair orders with the canned jobs and part kits features in Manager SE. Learn about inventory functions that assist shops in selling and re-ordering popular parts they stock, as well as inventory reports that provide valuable part sales insights. Explore the many features in the Manager SE Scheduler, including screen configurations, options to customize the calendar and tips and tricks to optimize shop workflow. Get an overview of recent feature upgrades – major and minor — and see how they improve daily workflow. Mitchell 1 will also continue to offer the two-day live training in a classroom setting, with the next workshop scheduled for April 25-27, 2019 in Atlantic City, New Jersey. For more information about Mitchell 1, visit www.mitchell1.com, call (888) 724-6742, or locate an independent sales consultant atwww.mitchellrep.com.